San Francisco Metblogs » Macworld Begins! 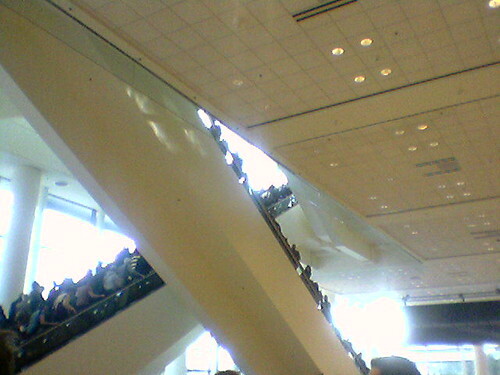 More pictures to come over the next few days but here’s a pic I took with my cameraphone while in line for the keynote of the people on escalators in Moscone West. Obviously you don’t know talent if you walked out on John Mayer. He happens to have 5 Grammy nominations!! Millions would may a lot of money to have seen him perform!